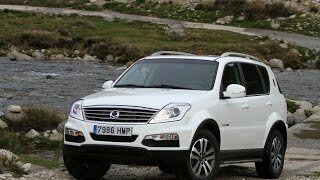 SsangYong has launched the new SsangYong Rexton W which gets an all new-look with a price range starting from just £21,995. The new car uses a body on frame construction for maximum strength and double wishbone and coil spring suspension to the front, and a five link rigid axle with coil springs at the rear. 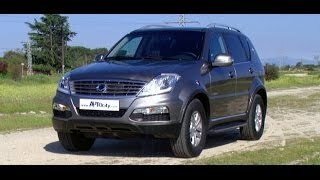 Rexton W is a serious off-roader, yet with all the equipment and creature comforts expected of an urban cruiser. On the interior the cabin comes with aluminum-effect and chrome finishes along with soft-touch materials. 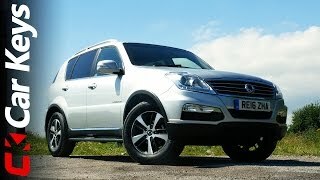 With seven seats the standard equipment also include cruise control, air conditioning, electrically operated & heated door mirrors, leather covered steering wheel and gear knob, and CD & RDS radio with iPod and Bluetooth connectivity. 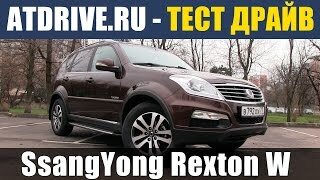 The Rexton W is powered by SsangYong’s own 2.0 litre turbo charged e-XDi200 diesel engine delivering maximum power of 155PS/4,000rpm and maximum torque of 360Nm/1,500-2,800rpm. It comes with a choice of a 6-speed manual transmission or 5-speed Mercedes-Benz T-Tronic automatic.